The Wood Window Alliance has issued an Advice Note giving guidance on the energy-efficiency of wood windows. Wood Window Alliance members manufacture some of the most advanced, energy-efficient windows and doors available in the UK, whether timber or aluminium-clad. 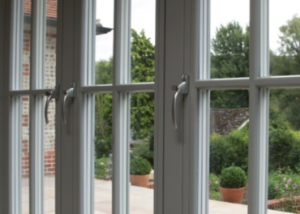 All are double or triple-glazed (with the exception of specialist period windows) and can be specified with low-emissivity glass, gas-filled glazing units and warm-edge spacer bars. They exceed the energy-efficiency requirements in the Building Regulations and the performance requirements defined in BS 6375 Parts 1 and 2, relating to weather tightness, operation and strength characteristics. Members offer windows with A+ to C Window Energy Ratings and with whole window U-values down to under 0.8, Passivhaus standard. What do the Building Regs require? The WWA recommends that specifiers should evaluate the three individual elements of a window’s energy rating against specific architectural requirements in order to get the right product for individual buildings and projects. This means getting the right balance between the thermal transmittance of the frame and glass (U-value), solar gain through the glass (G-value) and air leakage (L-Value). Increased solar gain is seen as ‘free energy’, and so high solar gain is beneficial. However, there may be times when lower solar gain may be preferable – to prevent overheating in summer, combined with a low U-value to keep the heat in during the winter. So you need to look below the top line rating to see whether it’s being achieved in a way that will suit your building.